Dan is a film and TV actor, currently appearing in Disney’s hit TV series, ‘The Lodge’. As well as being an ambassador for AFI, Dan is a patron of both the Born Free Foundation and Voice for Asian Elephants. 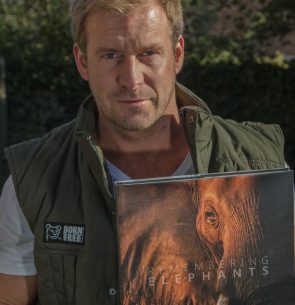 He dedicates much of his time to animal welfare and conservation projects around the world and is actively involved in campaigns supporting many species including stray dogs, rhinos, Asian and African elephants, lions, primates, dolphins and orcas. He is an active vegan and believes that veganism is important when representing animal causes and has used his platform as an actor to spread awareness and compassion. Media savvy vegans ‘Angels for the Innocent Foundation’ are bringing a supersonic, celebrity panel to VegfestUK to talk about how each of them has used their professional position in life in order to make a difference for animals and veganism. Each of the panellists is in the public eye daily and has made life choices to shape their careers towards animal protection and a vegan lifestyle in order to influence others and make a difference. You too can be a positive role model – Come along and find out how.